Paul Edmund-Davies says, "If you have air, you have a voice." What exactly does this mean? 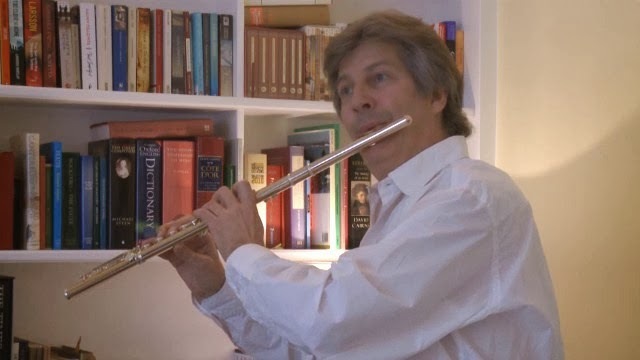 Well, breathing properly is critical when playing a wind instrument, and Mr. Edmund-Davies elaborates on this in the video lesson below. He says that it is important to understand the workings of the lungs and how to control air. He discusses "types of breaths" that he has observed over the years and compares the "shallow breath" with the much more substantial "diagonal breath." Musical examples featured in the lesson include Debussy's Prélude à l'après-midi d'un faune, Mozart's Flute Concerto No.1 in G Major, K.313, and Bach's Flute Concerto in G Minor, BWV 1056. Click this caption to watch the Paul Edmund-Davies video lesson on breathing.